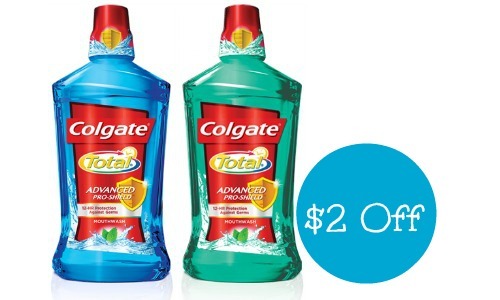 Print off this new high-value Colgate mouthwash coupon to save $2 off any Colgate mouthwash or rinse! While there aren’t any sales on the 32 oz or larger varieties, you can still save on mouthwash and other oral care items at stores like Walgreens, Target, and Publix. Many of these deals are good through 4/04, while you can get Listerine at Publix through 4/10. This deal is valid through 4/04. This deal is valid through 4/10.